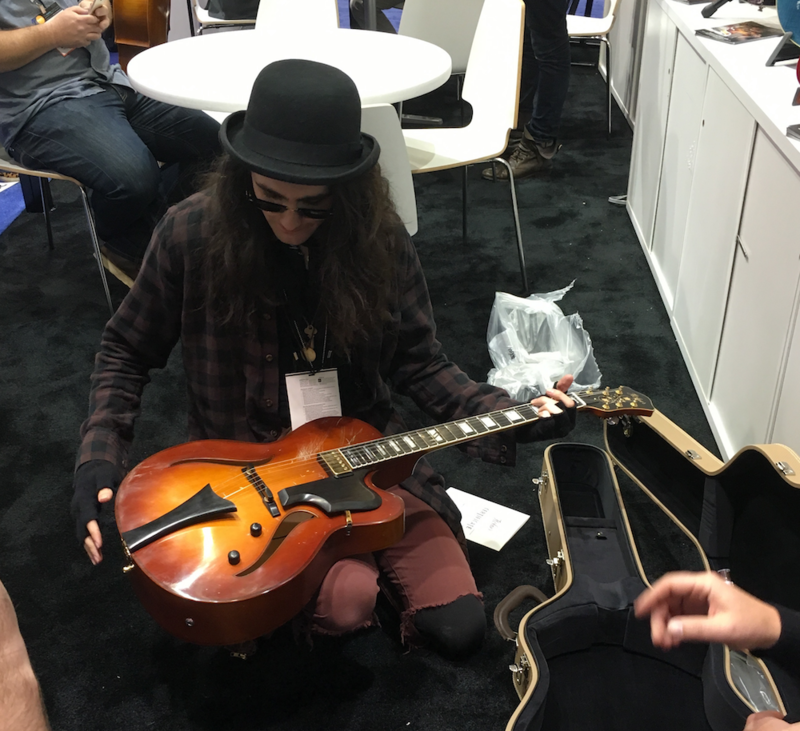 The Hofner Zane Carney signature model was presented to Zane for the very first time during the NAMM 2016. Zane was super excited about the instrument during the interview. We took the opportunity to talk about his latest projects, his views on this NAMM, the upcoming album he is preparing and, of course, this brand new guitar. No doubt we will hear a lot about Zane during this year as he seems to be always working on several projects. Follow him on Twitter (@zanecarney) so you can catch him the next time he uses Periscope to broadcast a live video guitar in hand. He's very good at that. Until the next interview during the NAMM or elsewhere, keep on playing the guitar!